Newcomer immigrant youth – refugees, asylum seekers, and unaccompanied children – face unique behavioral, social, and learning challenges as a result of trauma. Julian Ford recently co-authored A Trauma-Informed Approach to Judicial Decision-Making for Newcomer Immigrant Youth in Juvenile Justice Proceedings, a primer for juvenile court judges and advocates who encounter immigrant youth. We asked Ford how trauma impacts these children and what doctors should remember when treating them. How is trauma impacting these young people? They are impacted by violence in their countries of origin and on the journey to the U.S., as well as by race-related and institutional trauma in this country. Many develop a sense of fear, distrust, and even hopelessness that interferes with relationships, school, adjustment to new communities, and their physical health. These problems can persist for many years. What behaviors do they exhibit as a result? These youth are often distrustful as a result of trauma, and can be very withdrawn or impulsive in an attempt to protect themselves from further trauma. This is a form of “survival coping,” which results from chronically not feeling safe. Justice involvement can occur when these youths feel that they must take extreme steps to protect themselves, which can lead to breaking rules — such as at school — or confrontations with law enforcement. How can physicians provide the best care to these patients? Immigrant youths and their families, especially recent newcomers, have come to the United States in a period of turmoil and controversy that has heightened the stress they face in coming to a new country and new community. Many may feel reluctant to seek health care for fear of facing prejudice or discrimination. Providing a clear message of welcome and acceptance, in addition to showing interest in learning and respect for their culture and traditions, is essential to forging a positive treatment relationship — and can reduce patients’ anxieties and contribute to better health outcomes. Expect that it will take some time, often several visits, for these youths and their families to feel sufficiently trusting and safe to fully and actively engage in dialogue and the treatment process. Patience and consistency on the part of the health care professional are a crucial counterbalance to the often harsh and even traumatic encounters many have had with putative helpers and institutional officials during their journey and once in the United States. Explaining the nature and limits of confidentiality can help reduce fears about being subject to immigration sanctions. Is there a plan in place to help youths who suffer from this type of trauma? The National Child Traumatic Stress Network has established more than 15 programs nationally for these youths. [The Center for Treatment of Developmental Trauma Disorders and The Center for Trauma Recovery and Juvenile Justice, of which Ford is the director, are members of the network.] This network was established by the federal government in 2001, and its centers provide public education, counseling, advocacy, and behavioral health treatment services for children and families, as well as consultation to community leaders and policymakers. 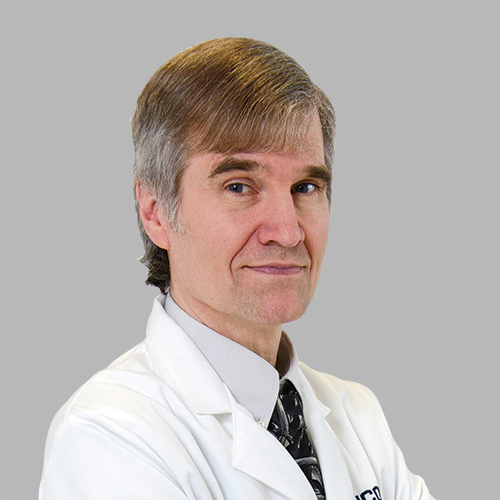 Since joining UConn Health as chair of the Department of Radiology in March 2017, Wolansky’s neuroimaging research has focused on improving our understanding of MRI contrast agents and their safety. We sat down with him to talk about the ways radiology is advancing clinical care. You’ve spearheaded a teaching tool on the UConn Health Radiology website that features cases with images, diagnoses, and even a quiz mode. Where did this idea come from, and how do you envision physicians using it? Technology has changed the way we get information, and we find that most people answer questions by looking online. Radiology, which relies so heavily on technology, is a specialty that is much more visual than most other fields of medicine. Every day we encounter an abundance of complex digital images created by sophisticated equipment. The digital images can be captured, uploaded, and sent throughout the world with relatively little effort. I thought it would be a waste not to share this valuable material with everyone. Medical students and radiology residents will likely use it the most. Furthermore, resident doctors in many different fields are tested on the imaging that relates to their specialty. Even after their training, patients expect doctors and other providers to be knowledgeable about everything related to their care, including imaging. Radiology Online can further educate providers and even educate patients about their health. It also provides the contributing physicians and students from UConn as well as other institutions with an academic outlet that is beneficial for career development. It’s UConn’s own open-access radiology review book. What other projects are you focused on? We have a number of other initiatives, such as the Linda Clemens Foundation Free Mammogram Program, which provides funds for screening and diagnostic mammograms, breast ultrasounds, and breast biopsies for uninsured and underinsured UConn Health patients. We have added a new CT scanner in the Musculoskeletal Institute building that will increase our capacity significantly and will create a more patient-friendly outpatient setting. We will also offer weekend MRI appointments at the Musculoskeletal Institute. 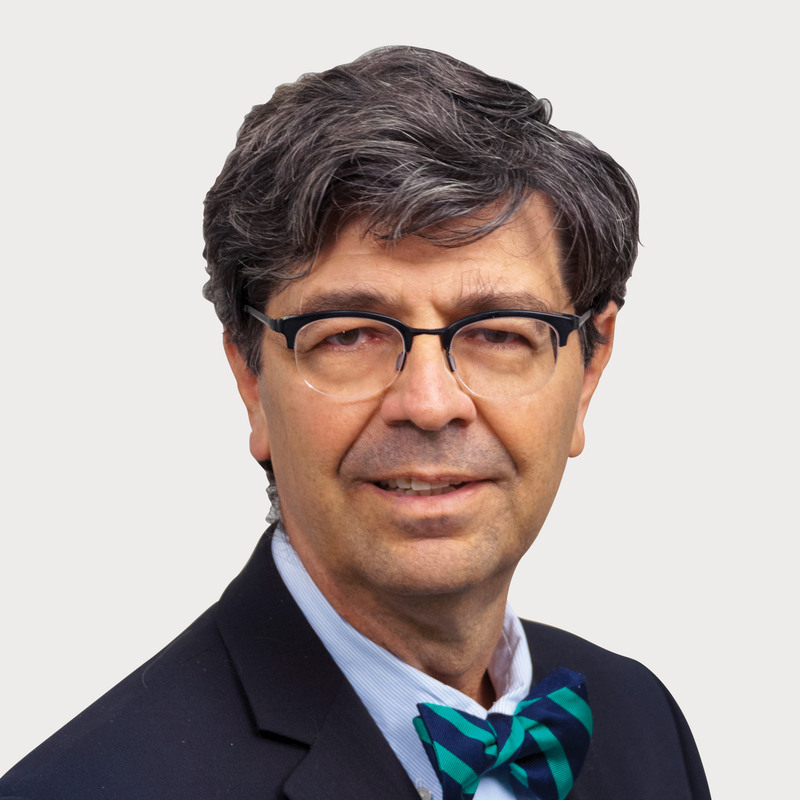 Additionally, we have a new attending, Dr. Abner Gershon, who strengthens our stroke service and is opening a minimally invasive neck and back pain clinic. In the area of nuclear medicine, we are now offering DaTscan brain scans for differentiation of Parkinsonian syndromes from essential tremor. What can you tell us about the new imaging center in Storrs? How will it benefit patients in the area? When I started here, I immediately saw how important to the state the UConn athletics program is. It seemed strange that it was so difficult for us to image our own athletes, or any UConn students, in Storrs. From my previous research, I was aware of the Brain Imaging Research Center (BIRC) in Storrs, which has a fabulous scanner. It occurred to me that their MRI scanner could provide patient care without interfering with the research mission of the BIRC. Once we converted it, we’d be able to read the images here at UConn Health. This would allow us to care for our own student-athletes, other students, faculty, staff, as well as the general public in the Storrs area, sparing them the 45-minute trip to Farmington. I explored a partnership with the BIRC leadership, working closely with Inge-Marie Eigsti, Jay Rueckl, and now the new director, Fumiko Hoeft, who has been extremely helpful. While the scanner will continue to be primarily an instrument of research, soon we will be rolling out this clinical service at the BIRC. Wizdom Powell, Ph.D., is committed to eliminating health disparities, especially those affecting men and boys of color in the U.S. UConn Health Journal checked in with the American Psychological Association’s Society for the Psychological Study of Men and Masculinities president-elect and former White House fellow a year after she took over as head of the Health Disparities Institute. 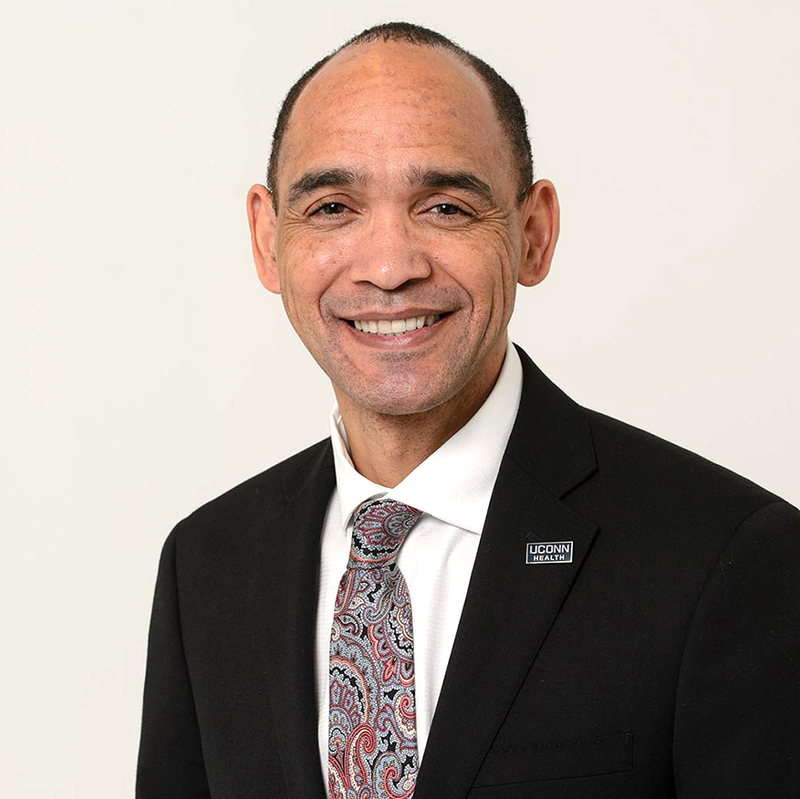 What are your top priorities for the Health Disparities Institute (HDI) at UConn Health as you begin your second year as director? During my first nine months, HDI underwent an internal, strategic refocusing process. This process involved conducting an organizational 360-degree assessment and reviewing state-level data on health disparities outcomes and populations. It resulted in the identification of four complementary strategic focus areas: health systems change, utilization, and finance; behavioral health; chronic disease prevention and control; and neighborhoods, housing, and health. HDI is committed to advancing health equity and works explicitly to connect, support, and serve populations at greatest risk for poor health and social outcomes. These goals are accomplished by generating rigorous evidence for action, building multisector coalitions, translating data for policy impact, and accelerating community-sourced innovations. We apply an explicit racial equity lens to our work. We value social justice, youth engagement, and the power of art to amplify community voice and disrupt single stories about the truly underserved. What initiatives has HDI put in place or advanced in the past year, and how are they helping people? Boys and men of color (BMoC) in our nation are uniquely underserved across a number of health indicators. Currently, HDI is developing several initiatives designed to address social determinants of health, well-being, and health equity among BMoC. Recognizing this critical gap, the HDI has established a multisector alliance composed of private, public, academic, and community leaders to provide high-level strategic guidance and accelerate systems change for BMoC in Connecticut. HDI recently launched a series of overlapping research, policy translation, and programmatic initiatives focused on advancing health equity for boys and men of color in the state. What can physicians do to better serve men and boys? I think it is important for health care providers to be aware of the gendered help-seeking barriers men and boys experience. Such barriers include shared cultural norms and values that discourage men from disclosing vulnerability and distress. These norms may lead some men to avoid health care altogether or “watch and wait” even when health symptoms are present. It is important for health care providers to maximize appointments with men and boys, for example, by screening for behavioral health symptoms during a primary care visit. Recently, public figures like Jay-Z and NBA star Kevin Love have spoken out about mental health struggles and the stigma surrounding them. Are we on the verge of a sea change? What more needs to be done on a cultural and policy level? It is always encouraging when public figures leverage their influence to promote mental health awareness. They have a bigger platform than scientists and far fewer structural constraints on their media engagement. In my more than a decade in the men’s health space, I have witnessed ebbs and flows in the scientific and public discourse about these issues. We are definitely in a flow period. To achieve a sea change, we also need to change systems, culture, and policy. We certainly need mental health parity in the way we pay for services. A lot could be accomplished by the systemwide integration of behavioral and primary care services. We would also benefit tremendously from changing norms. Men and boys (and the women and girls who love them) would be healthier if they had fewer social sanctions around displaying emotional vulnerability. We encourage men and boys to be strong, stoic, and silent. If we are going to have a real sea change, those norms have to be disrupted. 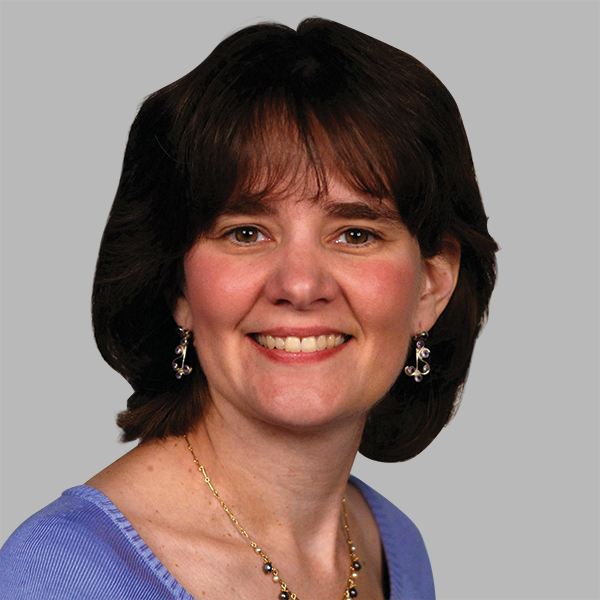 Nancy Petry’s internet addiction research is the first of its kind to be funded by the National Institutes of Health. As a member of the American Psychiatric Association’s Workgroup on Substance Use and Related Addictive Disorders, Petry led international efforts to include online gaming addiction as a condition requiring greater research in the latest version of the APA’s Diagnostic and Statistical Manual of Mental Disorders, 5th edition (DSM-5). How prominent is internet addiction in the U.S.? The explosion of our use of the internet, computers, and mobile technology is fairly new, so no one really knows the prevalence of internet or screen addiction as it hasn’t been studied nor standardly assessed. But the NIH took a significant step to begin funding my research in this area, so there soon will be insights. In December 2017, the World Health Organization announced it would be recognizing “gaming disorder” as a mental health condition in its 11th International Classification of Diseases. Who is at most risk of a gaming disorder? Anyone, regardless of age or gender, who plays video or online games excessively may be at risk of becoming addicted. However, the most vulnerable population may be the more than 90 percent of boys ages 8 to 17 who play. While the lives of the vast majority of child gamers are not adversely impacted, about 1.5 percent of children develop significant problems when they begin to play for very long hours and forego other activities to play games. Children with a video game addiction play 3 to 8 hours daily, sometimes more. Boys are at much greater risk than girls because they play electronic games more. Children who are more socially isolated, or have depression or attention deficit disorder (ADD) are also at greater risk. Parents should be aware of warning signs including new problems at school, trouble with or a decline in social interactions with family and friends, and a reduction in other hobbies they once enjoyed. Tell us about your novel video gaming disorder research study aiming to curb the problem. We at UConn Health have the first NIH-funded clinical trial to help parents with their child’s video game addiction. The study tests the benefits of a family therapy approach, with one or both parents and the child participating. The children are ages 10-19 and they must have developed significant problems related to gaming. Parents are coached on how to better understand what gaming addiction is, why their child derives pleasure from the activity, and the best ways to monitor and intervene to reduce their child’s gaming. There are no other such studies in the U.S. to our knowledge, and only a handful of studies in Europe and Southeast Asia have evaluated interventions. What do you recommend to patients to curb Internet or gaming use? Electronics are a big part of daily life, and they are not going away. It is up to each of us to limit internet or game use and make sure we, and our children, are not losing out on other things in life due to excessive use. Just like everything else, moderation is key. If you notice you or a loved one has or may become addicted to the internet or gaming, set rules such as no gaming or electronics use after 9 p.m. and start to make time for other hobbies you enjoy. Since 1968, the UConn School of Medicine has prepared the next generation of Connecticut’s doctors. UConn Health Journal checked in with the school’s dean a year into its new curriculum, known as MDelta — Making a Difference in Education, Learning, and Teaching Across the curriculum. This time last year you launched the new MDelta curriculum. How has it gone? Despite the enormous amount of work, change, and adjustment it takes to change a curriculum, it has gone smoothly and the feedback is validating all the reasons for this change. I believe we are now built to continue to deliver an excellent education to meet the explosive expansion in science and clinical knowledge, and the timing is perfect, as medical school enrollment continues to grow. Describe how the faculty has grown and how that strengthens the UConn School of Medicine. Faculty recruitment and retention is a central part of my agenda to make sure the School of Medicine is, and remains, strong. I’m pleased that we have hired 280 faculty members in the last five years, growing from 421 to 542, with a net increase of 121 new faculty. That’s a tremendous amount of new energy, expertise, and possibilities to keep the school, and UConn Health, on the rise. That shows in our U. S. News and World Report rankings, where we rose to 56th in research and 34th in the primary care categories among 170 accredited medical schools in the country. In what ways is the Bioscience Connecticut investment paying off for the School? Progress is everywhere as we work to deliver on the aspirations of the investment. We have begun to expand class sizes in the medical school and draw more talented graduate students pursuing advanced or terminal degrees, who will develop into the doctors and scientists serving Connecticut in the future. Research expenditures, funded by grants, contracts, and gifts, have approached nearly $90 million annually, helping us attract and retain talent and increasing the biomedical science jobs available here. We are already seeing a bioscience hub take form right here in Farmington, where our Technology Incubation Program is 70 percent full, housing 24 start-up companies, of which 15 are linked to UConn Health and the faculty. A centerpiece of the bioscience project was bringing the Jackson Laboratory to Farmington as a collaborator. What has that relationship meant for UConn School of Medicine’s academic and research objectives? The relationship has grown in the last three years to the mutual benefit of UConn Health and the Jackson Laboratory for Genomic Medicine (JAX-GM). However, the collaboration is young and will grow in ways none of us today can imagine. JAX-GM already has exceeded the 10-year, 300-job benchmark, and together we have hired five new joint faculty members, with five more planned. In addition, nearly 20 JAX-GM faculty members have joint appointments at the School. Our existing faculty and new JAX-GM faculty have worked together to secure grant funding. This opens a door to academic and research collaboration in new and interesting ways. This past summer, together we hosted the International Congress on Ethical, Legal, and Social Issues in Genomics on the UConn Health campus. Our faculty and those at JAX came together with the brightest minds and thought leaders from around the world to share, learn, and advance genomics. That kind of opportunity for our students and faculty, and exposure for Connecticut on the world stage, cannot be overstated for its long-term impact to the school and the University. 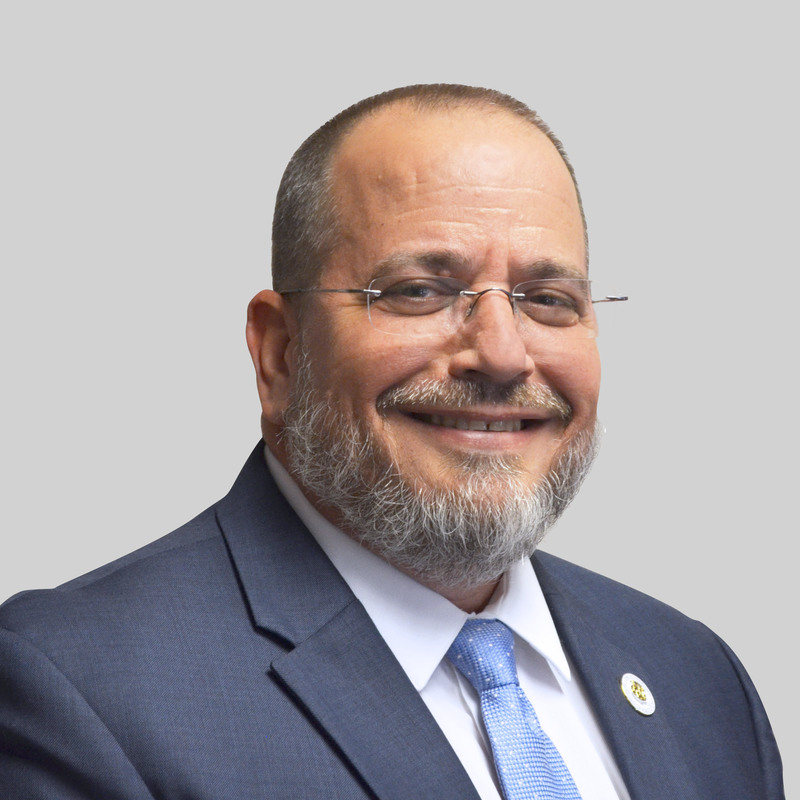 Epidemiologist Raul Pino, MD, MPH, was appointed commissioner of the Connecticut Department of Public Health (DPH) by Gov. Dannel Malloy in December 2015. He recently was elected to the UConn Health board of directors.UConn Health Journal talked to Pino about his philosophy on public health. 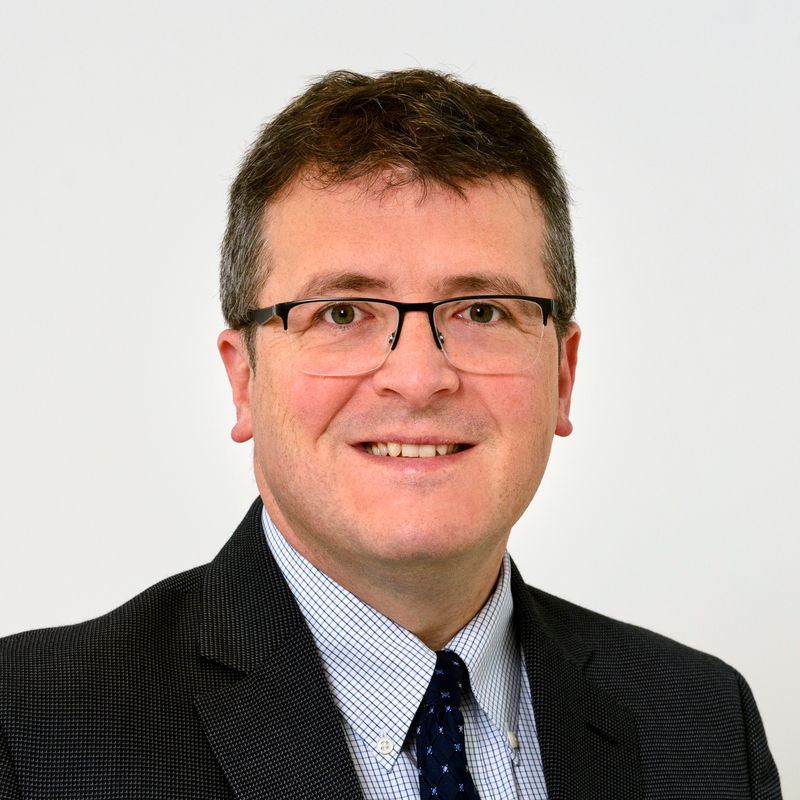 Epidemiologist Raul Pino, MD, MPH, was appointed commissioner of the Connecticut Department of Public Health (DPH) by Gov. Dannel Malloy in December 2015. 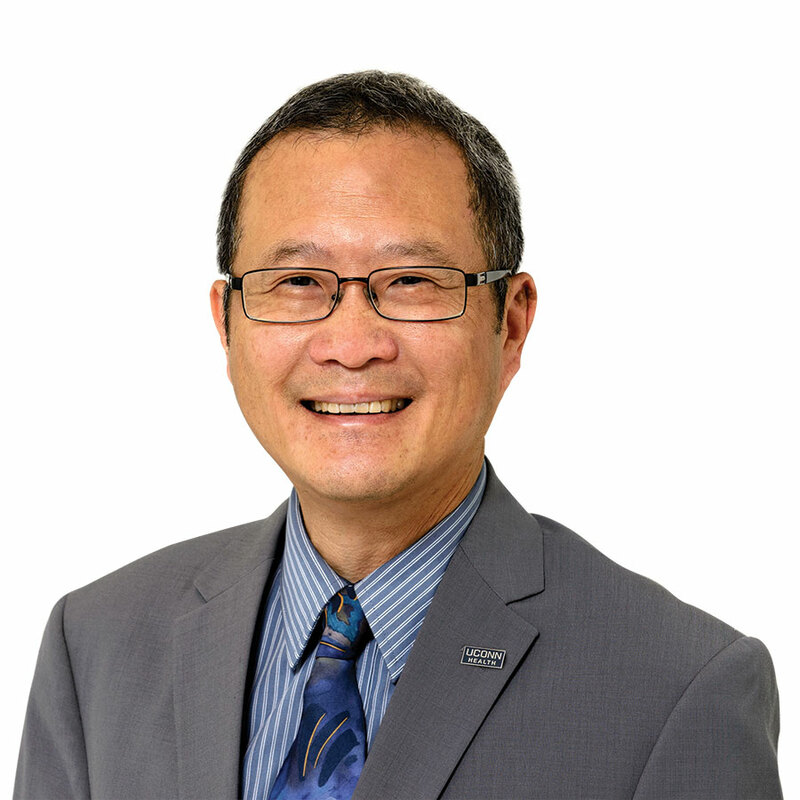 He recently was elected to the UConn Health board of directors. UConn Health Journal talked to Pino about his philosophy on public health. What are some of the major public health issues facing Connecticut? There are many public health issues facing both Connecticut and the nation as a whole. At the Department of Public Health, our emphasis is on the Centers for Disease Control and Prevention’s 6|18 initiative, which targets six major health conditions — asthma, high blood pressure, tobacco use, hospital-acquired infections, teen pregnancy, and diabetes — with 18 evidence-based public health interventions. Each of these conditions is common, preventable, and costly, but importantly, all have proven interventions that can be effectively employed across the health care spectrum to improve both individual and community health, saving lives and dollars. Other areas where I believe we can see good results in Connecticut by employing evidence-based interventions include addressing HIV and the rising number of syphilis cases. How can physicians assist the DPH daily to address and reduce these issues? Doctors, particularly primary care physicians, are the main point of contact with the public for health education. We need to engage practitioners in addressing the six major health conditions with their patients — screening for the conditions; educating in advance to enhance prevention of disease; and providing effective, evidence-based treatments when needed. Physicians play a critical role on the front lines of health care to shift our focus from treatment to prevention through lifestyle changes and other healthy choices. They are an indispensable part of the continuum of care between DPH, health care practitioners, and public health. As DPH commissioner, what drives your daily public health passion and mission? I am convinced that we — as a nation, a state, and as public health professionals — can do more than we are currently doing to impact public and population health. Addressing the health disparities that continue to plague our population, costing millions of lives and countless health care dollars, is what drives me. We are so fortunate to live in one of the richest countries, and states, in the world, yet we spend so little on public health. My mission is to spread the message that modest investments of money, time, and effort in proven education and prevention methods can lessen these disparities, which will save millions of dollars in health care costs and, more importantly, save lives. Tell us about your connection to UConn Health and what you hope to accomplish as a member of the board of directors. I am a 2009 graduate of the UConn Master of Public Health program and receive my own health care at UConn Health. 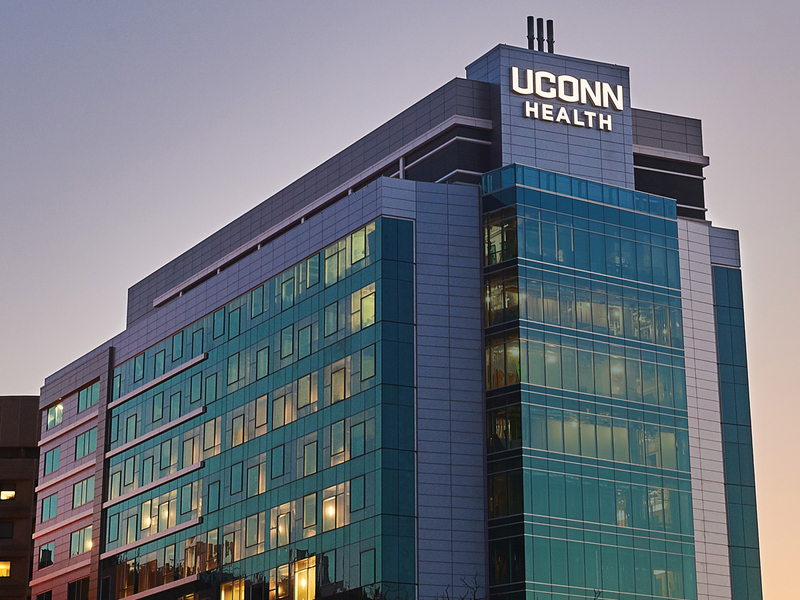 Spending time there for my education and health care has really crystallized for me that UConn Health is the epicenter of clinical care and education in Connecticut. UConn Health is where advances in science and medicine happen, which allows patients to get the best in cutting-edge care. As a member of the board of directors, I am looking to learn and understand better the role that this large institution plays in public health work. 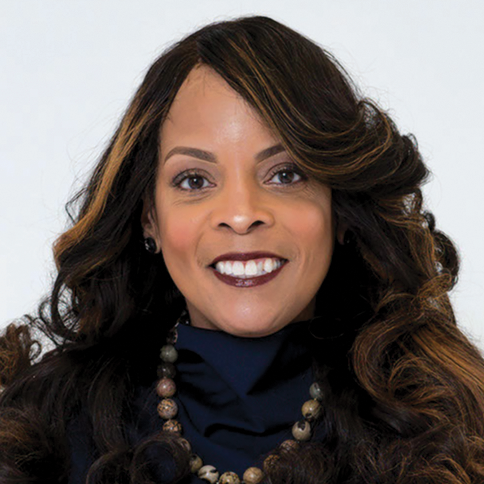 I hope my passion for public health and the elimination of health disparities will allow me to give a voice to the importance of integrating education, prevention, public health, and clinical care in order to strengthen our health care system, curb rising health care costs, and foster healthy communities and individuals. In the rapidly changing health care landscape, there has been an explosion of new technology and patient data. 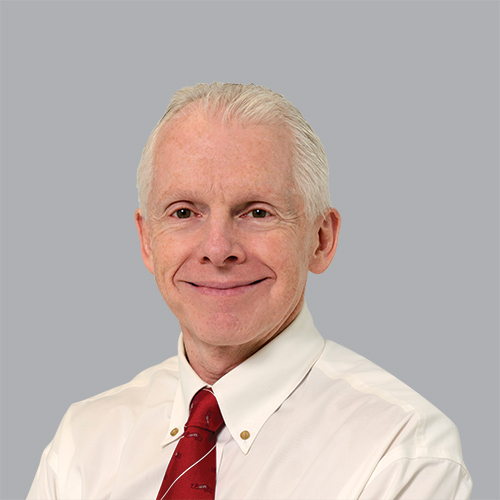 UConn Health’s first chief medical information officer (CMIO), Dr. Dirk Stanley, shares his expert advice on the best ways to leverage the Electronic Medical Record (EMR) to improve patient care and clinical practice efficiency. How transformative is an EMR tool for hospitals and physician practices? It’s not just the electronic medical record that is so powerful — it’s the medical record in general. In his 1968 New England Journal of Medicine article, “Medical Records that Guide and Teach,” Dr. Larry Weed posited that the way we store information changes the way we think about information, which in turn changes the way we act on information. So a properly designed medical record can lead to improvements in communication and care. Medical records have since gone electronic, opening up even more opportunities to streamline communication and patient care. To do this effectively, however, requires technical people who understand the needs of the patient, the physician, the entire care team, and the health care organization. That’s where it’s helpful to have a clinical informaticist guiding an organization through the process. How impactful is a single, comprehensive EMR system for improving patient care? How can an EMR help practices become more clinically and financially efficient in their delivery of high-quality care? What is on the horizon when it comes to EMR at UConn Health? Open enrollment for health insurance plans runs from Nov. 1, 2016 to Jan. 31, 2017. UConn Health Journal sat down with Dr. Victor Villagra to get the latest information on Connecticut’s health insurance exchange marketplace. Read on to learn more about navigating the exchange and guiding patients. What is the state of our health exchange marketplace? Health insurance exchanges across the country are facing challenges because large insurance companies like Aetna and UnitedHealthcare are pulling out, reducing the number of choices. Premium costs are also a major concern. Thanks to the Affordable Care Act (ACA), nine out of 10 individuals in Connecticut now have health insurance, with more than 100,000 enrolled in commercial plans (called Qualified Health Plans) and many more in Medicaid. Through the exchange, many people can get premium subsidies. The state is in its fourth year of offering state-based health insurance coverage plans through its exchange, Access Health CT. It makes health care and coverage more accessible and affordable for our state’s lower-income and uninsured residents. What’s new for 2017 for the exchange? During open enrollment, qualifying residents can purchase an insurance plan, and current participants can change their plan to better fit their medical needs or budget. This year, the landscape is limited, with some participating companies dropping out, forcing people to choose new plans. Also, our state recently lowered the income-level eligibility for adult Medicaid coverage, which could leave thousands without insurance and seeking coverage under the exchange. As a result, doctors’ offices may have to deal with some of their Medicaid patients now lacking insurance. How can we better navigate health insurance complexities? Among the most common question physicians and their staffs receive is: “Will my insurance plan pay for this?” Health insurance literacy is generally low and a big problem for patients, especially when it comes to calculating their out-of-pocket costs. This is especially difficult for those with limited English language proficiency and the newly insured. Even though they now have health insurance coverage, patients don’t always know how to use it. Complicated terminology and rules about what is and is not covered are challenging for the majority of people to understand, even medical professionals. Doctors, and especially their office staff, need to familiarize themselves as much as possible with the jargon and each insurance plan’s elements, so they don’t prescribe something that is not covered by their patient’s plan. It is important for office staff to remain up to date on the latest insurance data to answer patient questions and to confirm coverage with the insurance company. Doctors’ offices want to avoid, at all costs, a patient being hit with a large, non-covered medical bill, because it could not only harm the patient-doctor relationship, but also be financially injurious, leading to the patient’s non-payment. For example, last year more than 12,000 medical providers had to go to small claims court to try to collect payments from their patients. With more health insurance plans having high deductibles, bill collection is becoming even more challenging for physicians’ offices. Health care is the leading cause of personal bankruptcy. Opioid prescriptions for chronic pain have quadrupled since 1999, and in that time, more than 165,000 lives in the U.S. have been lost to opioid overdose. UConn Health Journal sat down with Dr. Surita Rao to set the record straight on what medical providers need to know about properly prescribing pain pills. 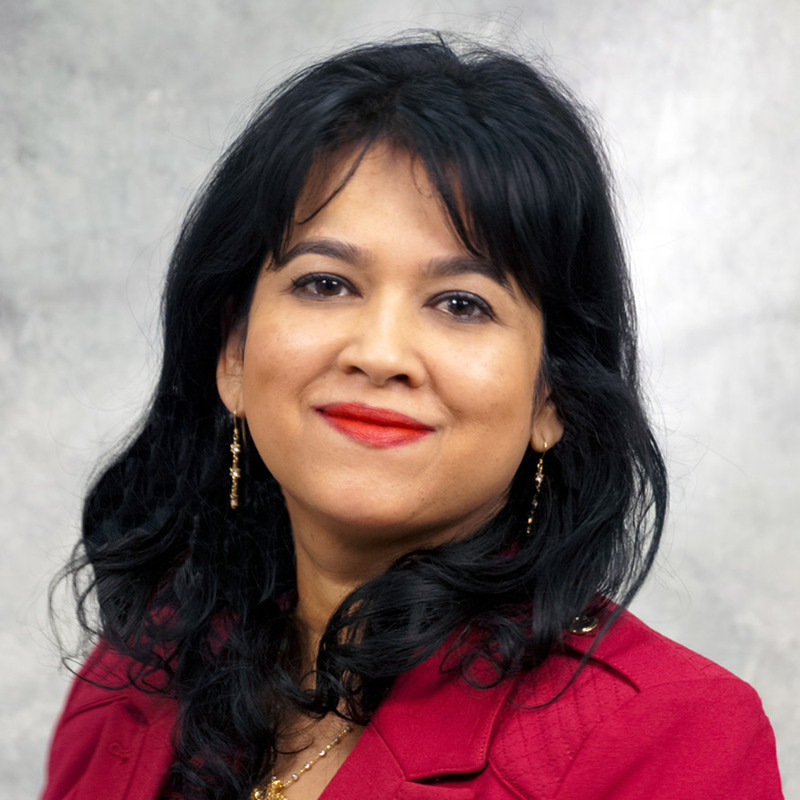 Dr. Surita Rao is on the board of directors of the American Society of Addiction Medicine and past president of its Connecticut chapter. Can you characterize the U.S. opioid epidemic? Our country’s opioid epidemic has been going on for several years. The U.S. is the biggest global consumer of prescription opioids. In 1997, 76 million prescriptions were written, more than doubling by 2013 to 207 million. Americans consume nearly 100 percent of the world’s hydrocodone (Vicodin) and 81 percent of its oxycodone. The majority of those physically addicted or overdosing are getting opioid prescriptions from their doctors’ offices. These strong pain pills are very physically addictive and it’s often hard for patients to live without them, even after their pain subsides. The biggest dangers of opioids are overdose and death. After doctors stop prescribing them, some patients turn to the street to illegally get their pills, while some may even switch to heroin. When mixed with heroin, anxiety medications, or alcohol, opioids are even more likely to lead to overdose. What do the new Centers for Disease Control and Prevention guidelines call for? In March the CDC called on primary care doctors to more carefully assess each individual patient’s risk of taking an opioid and to take extreme caution when prescribing it for longer than seven days for acute pain, unless for terminal cancer or palliative care. The lowest-effective dose of non-slow-release pain pills should always be used, and patient use needs to be continuously reevaluated. Guidelines stress the critical need for increased education and communication about opioid risks including constipation, drowsiness, stopping breathing, drug and alcohol interaction, addiction, overdose, and death. What should medical providers keep top-of-mind? For patients, physicians should always consider first NSAIDS (such as acetaminophen and ibuprofen), routine exercise, physical therapy, hot and cold compresses, and possibly steroidal injections. If opioids are necessary, beware that long-term opioid use can lead to physical dependence and intense withdrawal. Patients should be slowly weaned off. Patients who have developed an addiction to opioids that goes beyond a physical dependence will need to undergo medical detox, or take agonist maintenance medication to curb their brain-receptor cravings. Psychotherapy specifically targeted for substance abuse disorders, including individual counseling and group therapy, is always needed for successful recovery from an addictive illness. Patients should be encouraged to proactively lower their daily pain risk factors, not abuse or share opioids, and seek medical attention if they start to experience withdrawal symptoms or addiction. How Should Medical Providers Prepare for Value-Based Care? Health care delivery is evolving faster than ever before. One major change for medical providers is that the business of health care is moving from the traditional model of paying for medical services to one where payments will be based on quality and costs. This new model, which sprung from the Affordable Care Act, is referred to as value-based care. UConn Health Journal sat down with UConn Health’s CEO to learn more. Value-based care means that future health care payments to medical providers by patients, insurance companies, and governmental agencies will most likely be formulated using a combination of key high-quality care metrics of each hospital’s or doctor’s office’s performance, along with an average of state or national health care service costs. Medicare has indicated that by 2018 it will move to a value-based payment model. It is anticipated that commercial payers such as insurance companies will follow suit. Failure to provide value-based care in the future will potentially result in decreased payer reimbursements, financial penalties by the Centers for Medicare & Medicaid Services (CMS), and a shrinking number of patients using a medical provider’s services. How can medical providers best adapt to this new growing trend? All medical providers, small and large, need to ensure delivery of health care is as cost-effective as possible, and is truly improving patients’ experiences and outcomes. Providers need to implement quality improvement initiatives, track them closely, and make sure key clinical quality metrics are measured and met. But they must also focus on improving the “value” of care, contemporarily defined as health outcomes achieved per dollar spent. To meet these new expectations and to remain competitive, many health care providers across the nation have been joining or creating accountable care organizations (ACOs). An ACO is a voluntary collaboration of doctors, hospitals, and other health care providers who coordinate care and adhere to quality and efficiency standards in order to provide the best patient care at the most affordable cost possible. How is UConn Health preparing for value-based care? UConn Health recently completed a successful large-scale, aggressive cost and savings initiative that is yielding ongoing annual operating and financial efficiencies. Now to remain even more competitive and provide great care at the best cost, we are currently looking at creative affiliation opportunities. We are exploring joining one or more existing ACOs in Connecticut at a leadership level. Our goal is to increase patient access to health care, while improving quality of care and our patient outcomes, and reducing the costs of achieving such good outcomes for our patients. As part of our efforts toward value-based care, this spring we will begin the implementation process for a new, integrated electronic medical record (EMR) system called Epic. This is a nationally recognized clinical documentation system with the functionality and the capability to integrate all of UConn Health’s patient information across clinical care locations, physician offices, and medical providers into one accessible database. This EMR will allow the sharing and receiving of the latest medical history of patients being cared for both at UConn Health and at other institutions, while providing our clinicians, researchers, and educators with a state-of-the-art clinical platform to support their ongoing missions. This EMR endeavor will enhance high-quality and cost-effective health care delivery for our patients and people of our region, and will allow for increased population health management.